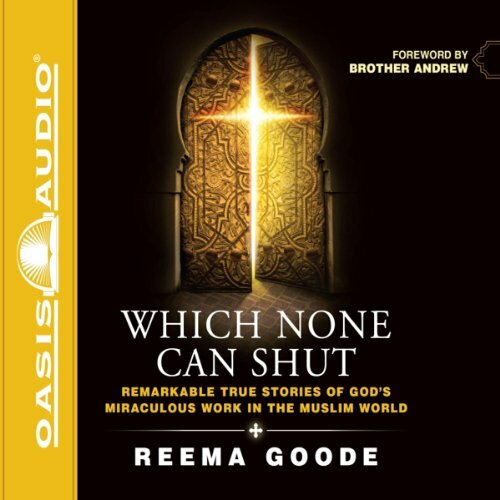 Showing results by author "Reema Goode"
“Reema Goode” and her family are Christians working in a closed Middle Eastern country where all of these things are true. Yet they are also firsthand witnesses of a whole new trend that is taking shape in missions to Muslims. Despite all obstacles, God is opening miraculous doors in the Islamic world, where an unprecedented number of Muslims are becoming followers of Jesus. Reema takes us deep inside her Arab neighborhood to show how God is opening doors in just one of many Islamic communities. Great book...wish it was read by a lady.